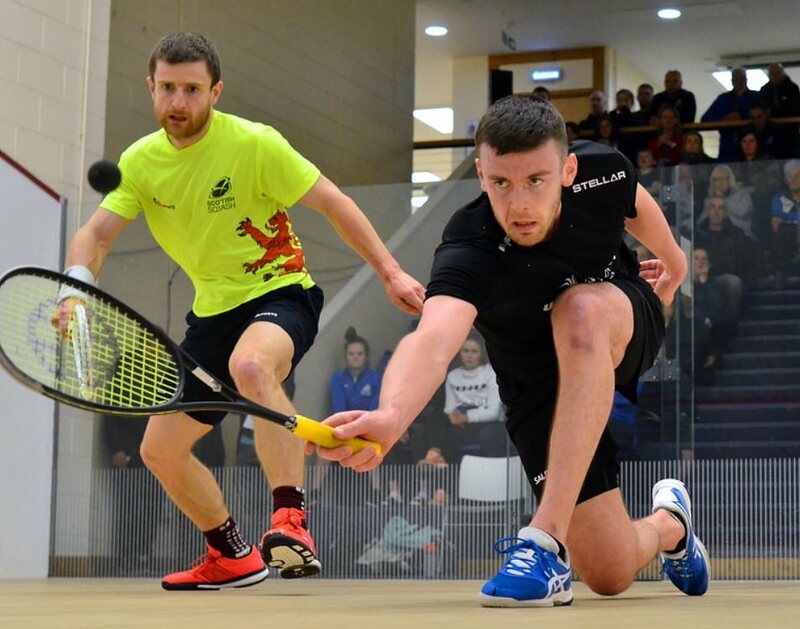 The last semi-final of the Springfield Scottish Squash Open at Oriam in Edinburgh gave a packed crowd drama of the highest order and a massive upset to boot. 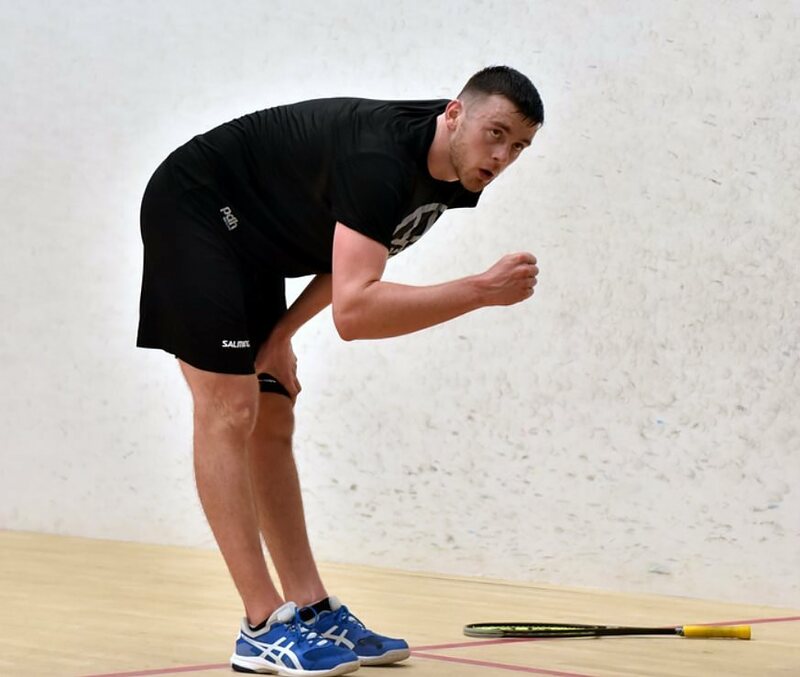 England’s seventh seed Patrick Rooney came through a tough quarter-final to beat third seed Victor Crouin, but tonight he exceeded that feat – and his own expectations – as he came from two-one down and 6-9 in the fifth to beat top seed Alan Clyne on his home turf. Rooney continued last night’s form to take the first 11-7, but when Clyne took the next two 11-4, 11-6 the writing looked on the wall for the Merseyside man. 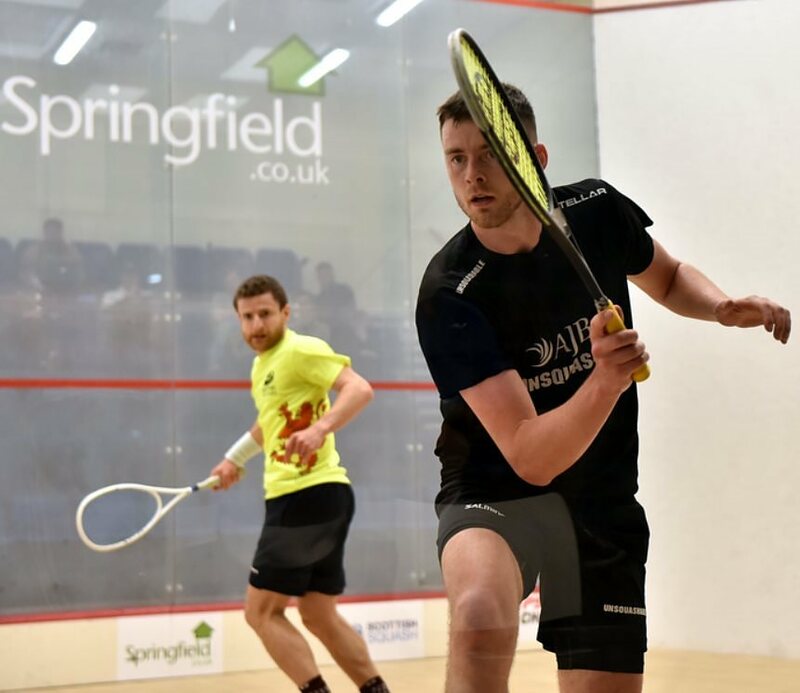 But Patrick is beginning to show some of the traits of his Pontefract teammate James Willstrop, digging in when he looks down and out and somehow getting the win. He pulled away at the end of the fourth to level the match, then doggedly hung on as Clyne opened up leads of 7-4 and 9-6 in the decider. But the top seed couldn’t shake Rooney off as he closed to 7-6, then after Clyne had extended the lead again, took five points in a row to complete one of his best, and unlikeliest wins. “I’m lost for words, really! At two-one down I really didn’t think I was going to win it, but I found something and pulled through. “I knew it was going to be tough, it’s always going to be physical against Alan, I had to try to play a game where I worked less hard than him but it was still very tough. I’m learning to hang in there with these players now and I’m delighted to get through this one. 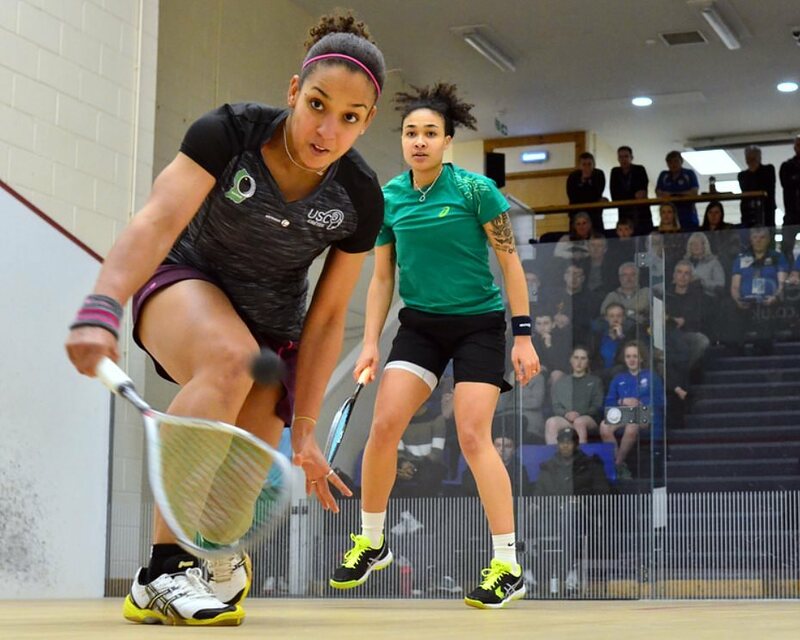 The earlier second women’s semi-final saw France’s second seed Melissa Alves come from a game down to beat Kace Bartley. With the second and third games both going to extra points, Kace could easily have won three-nil, but once Melissa had taken the third she took the momentum and cruised through the fourth. “It’s always tough getting into a rhythm against Kace, she was playing so well. The guys gave me some good advice, and taking that third was crucial. The first semi-final session at Oriam saw Lucy Turmel and Edmon Lopez win through to tomorrow’s finals in straight games. Top seed Turmel took on Spain’s Cristina Gomez, who had impressively beaten home favourite Georgia Adderly in the quarters. The first game went point for point to 6-all, but it was Turmel who took the lead with a run of five unanswered points. 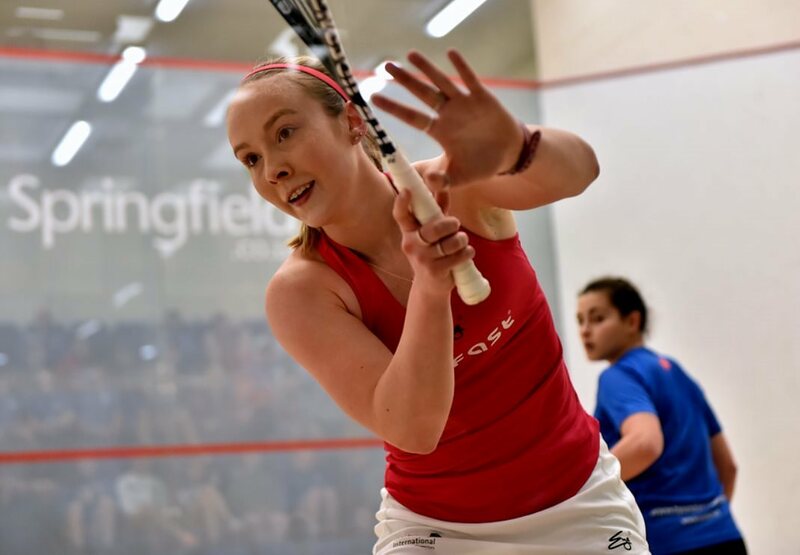 Lucy took early leads in the second and third games, playing with a touch more accuracy than her opponent, and kept herself out of reach of Cristina’s attempts to come back to finish the match 11-6, 11-6, 11-8 in 34 minutes. 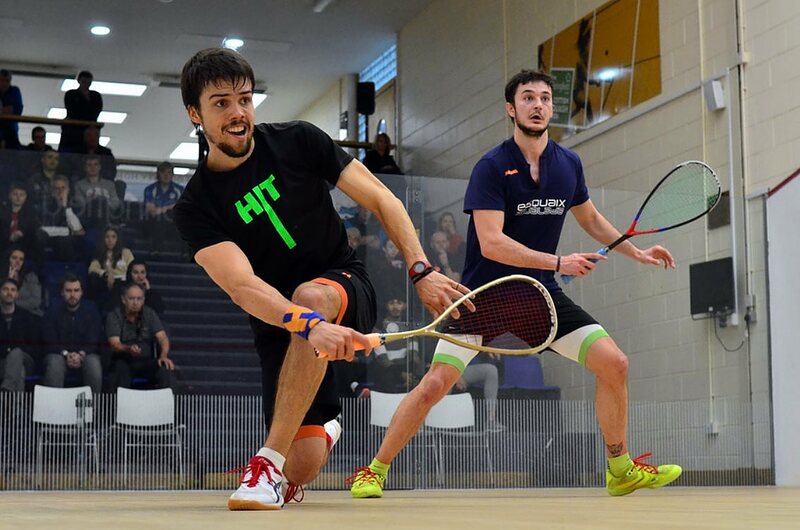 The first men’s semi was an all-Spanish affair between contemporaries Edmon Lopez and Bernat Jaume, aged 22 and 23 where the girls were 19 and 20. The rallies were fiercely contested throughout, but second seed Lopez, the recently crowned Spanish champion, had a touch more ‘stickinability’ and pulled away from a close opening period to take the lead 11-6. He got the better of the early exchanges in each of the next two games, and with Jaume becoming oncreasingly frustrated with some of the decisions and getting a little bit tetchy, Lopez closed out the match 11-4, 11-5 in 49 minutes. “We’ve played each other many many times, so we know each others’ games and he beat me the last two times so I knew I had to be on my game from the start and keep my focus throughout.